When we think of someone being shy, we may think of a child who is hiding behind the leg of her mother because she fears strangers. Shyness was once considered to be an asset for little girls as well as women because it was associated with modesty. I can remember my daughter hiding behind my leg when she was a little girl and thinking that it was so cute. I never saw shyness as an impediment and, like many other adults, found this type of behaviour very "cute." Shyness is not cute. To the contrary, it can cause you all sorts of problems in life. People who are shy are usually unable to express their feelings and have a much more difficult time when it comes to building relationships. My daughter, for example, found it difficult to make friends as she got older and to talk to strangers at parties. While people found her to be cute as a child as she hid behind my leg, they found her to be aloof and unfriendly as she blossomed into adulthood. 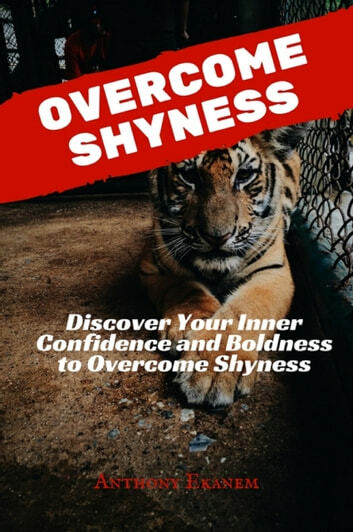 Before we can overcome shyness, we have to figure out why we are shy. There is no easy answer to this question. Some people appear to be born shy and have a hard time coming out of their shell to others. Instant Connection: How to Build Rapport with Anyone Instantly! Instant Passion: How to Find Your Passion in Life Instantly! Tips to How to Manage Your Time: Take Control of Your Time and Stress Free Life! Dating Advice For Women: The Blueprint To Get The Perfect Man. Learn The Best Dating Secretes, Expert Tips & Capture Your Perfect Match!